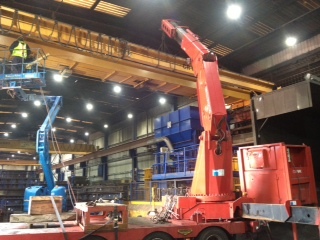 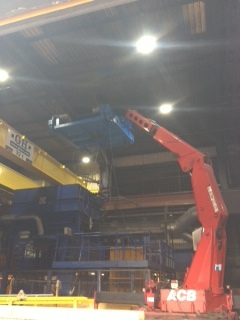 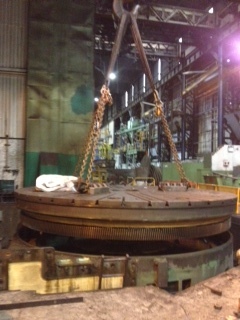 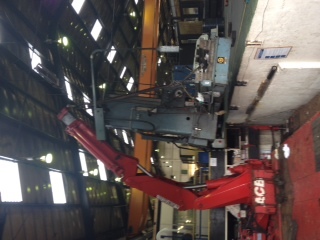 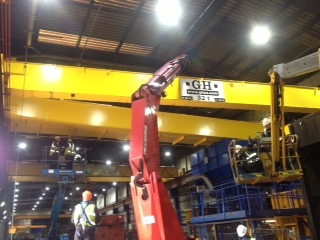 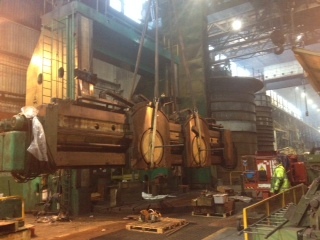 This is part of a large vertical borer we dismantled for export for our customer in Netherlands. 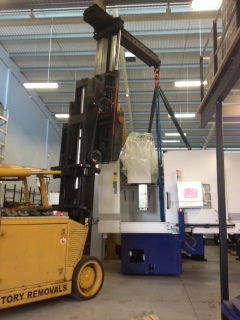 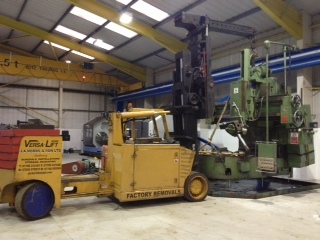 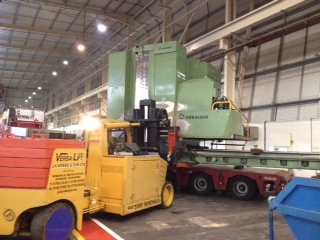 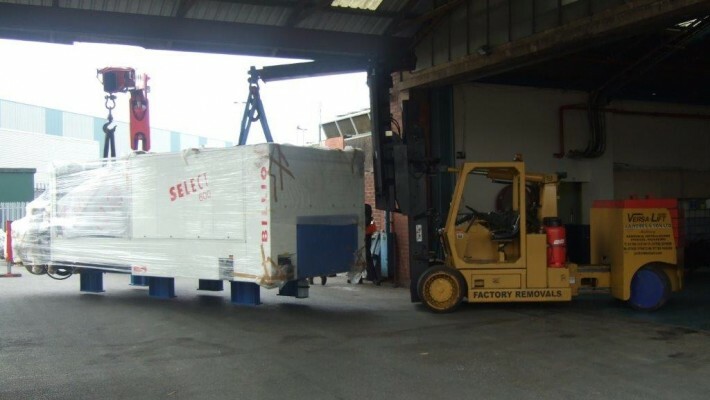 This vertical morando borer was removed from Rolls Royce and required lots of careful planning. 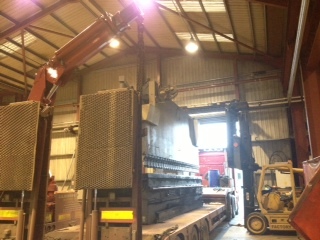 The old crane being lifted down to make way for new one. 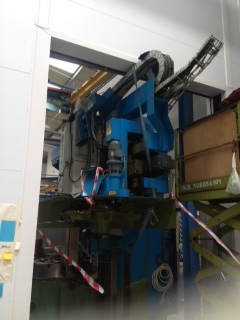 This is a new injection molding machine 38 ton being installed alongside the company who supplied it for a Lancashire based firm.